Friendly, stylish and delicious. These three adjectives sum up our latest Sunday adventure. Also still going by its previous moniker The Safe House, 13b is one block away from the alternate universe known as Oxford Street. 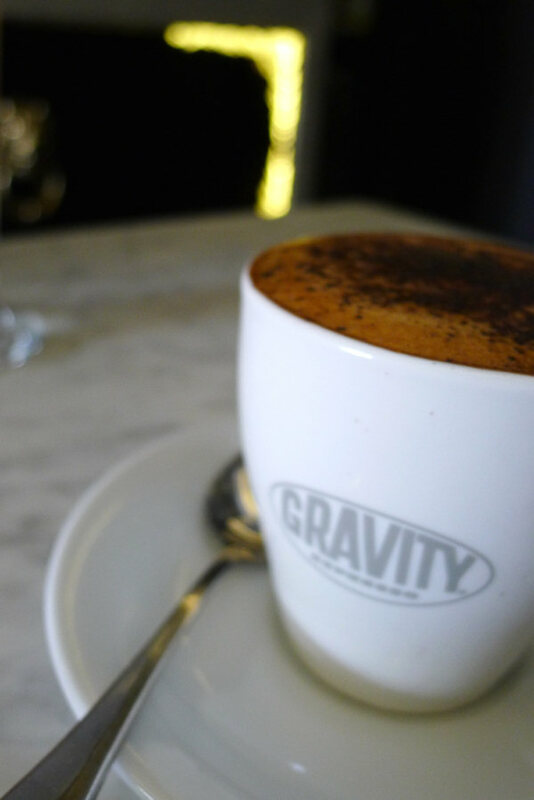 Take a trip off the main street to locate this gem for breakfast or lunch as well as drinks when it functions as a funky cocktail lounge and bar in the evenings. Seating outside is minimal and while the interior is also quite tight, we were lucky during our visit as it was unusually quiet. The staff are amongst the friendliest we have encountered and they have service with a smile down to a tee. Our drink orders are taken promptly and arrive in a flash. The coffees are delicious and hot. We regret not trying an affogato for breakfast. We’ll have to try it next time for sure. Crossed off the menu is the ever classic fresh banana, honey and cinnamon ($9) smoothie. 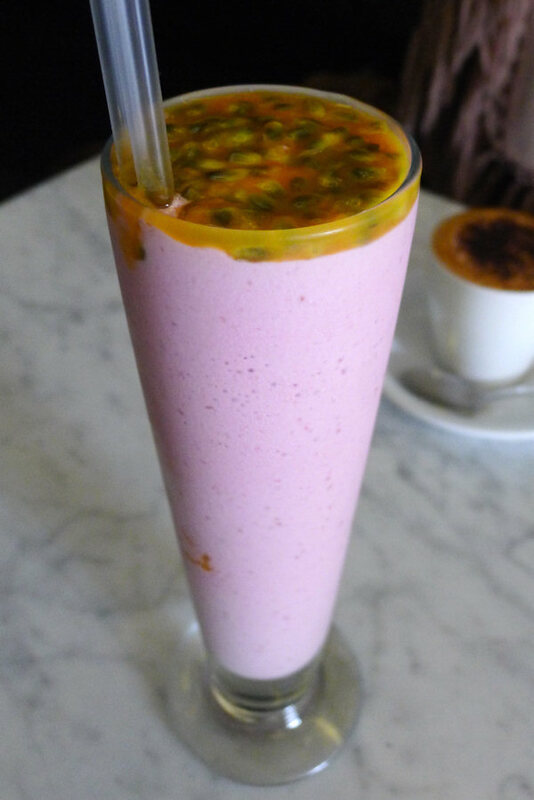 Luckily the raspberry, passionfruit and vanilla ($8.50) remains. This smoothie is amongst the best we’ve tried – up there with Uliveto and Mammamia. Passionfruit is layered on the top making it a sight to behold. Thick but still drinkable and loaded with flavour, it was also made quickly and served to the table within minutes. Shortly after receiving our drinks, the food is served too! We initially eye the boiled egg with parmesan soldiers accompanied with a side of fresh roquette & parmesan salad ($12.90) however the menu says they are only sold on weekdays. 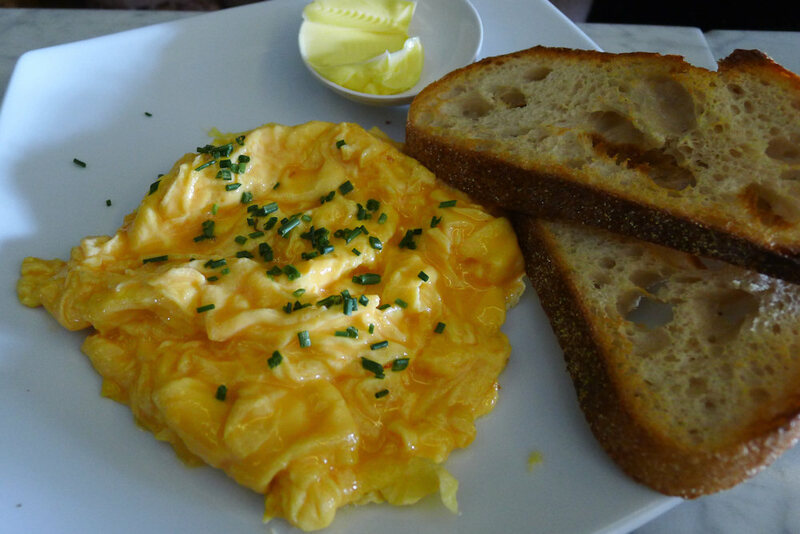 Instead we try the eggs and toast ($9.90) which are described as the “best free range eggs”. They live up to their description and are light, flavoursome and have a great yellow colour. You can try them poached, scrambled or fried served with country white sourdough. 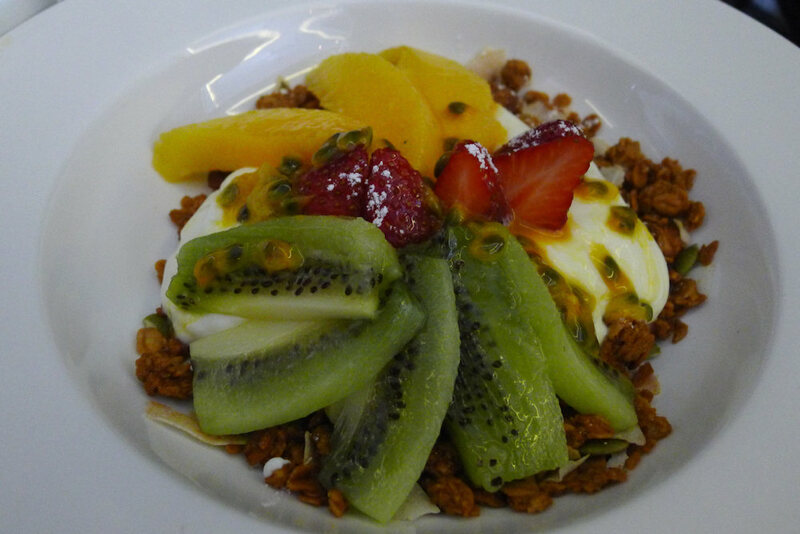 The more health conscious in our group opt for the spelt maple muesli ($10.90). The fruit was fresh and in season. Just the way we like it. The muesli had a combination of dried nuts, fruit and seeds and as you can see is presented beautifully with the yoghurt and fruit on top. 13b offers a large variety of egg-based dishes including the delicious sounding 13b omelette (spicy salami, red peppers, spanish onion, green olives and fresh chilli with chilli jam and soy & linseed sourdough, ($17.90), salsa eggs (sourdough, premium goats curd, soft poached eggs and custom salsa ($16.50) and a unique rendition of eggs benedict (melted brie cheese, double smoked ham, soft pached eggs and homemade hollandaise on soy & linseed sourdough. $17). 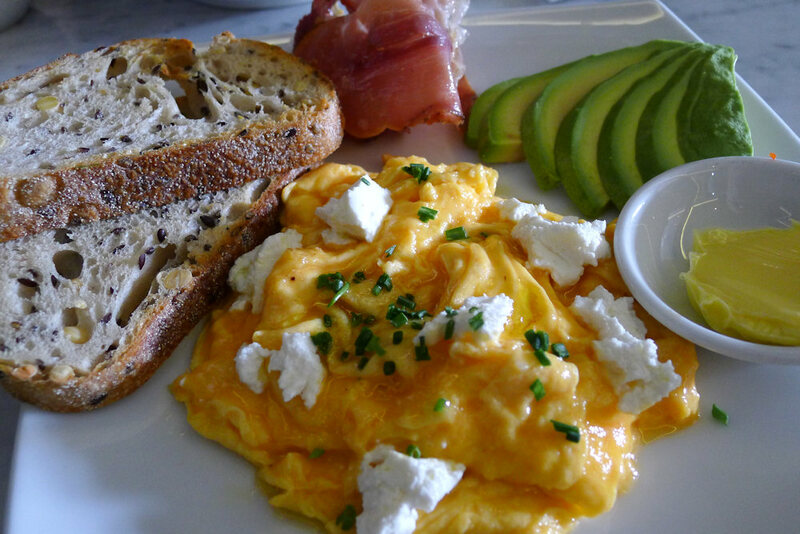 We ventured for the truffle eggs ($18.90). The scrambled eggs are made with white truffle and goats curd and very difficult to fault. The amount of flavour infusion of the truffle was just right and the creamy goats curd provided a nice texture and flavour boost. Coupled with fresh avocado and pan fried prosciutto on lightly toasted soy and linseed sourdough and we certainly have a tremendous dish. Not only do they seem to have fun at 13b but they also take pride in what is served. Our dishes were hard to fault and the friendly banter between customers and staff shows a good reputation among the locals. 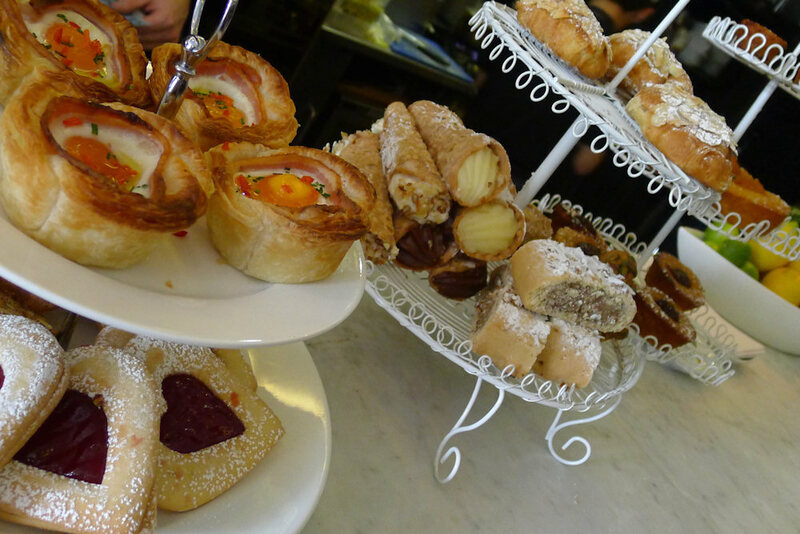 The counter was bristling with pastries and one of the most delectable-sounding quick snacks we have come across: the bacon and egg tart with a caramelised onion base ($5). We were immediately impressed as soon as we walked into 13b thanks to the friendly and relaxed wait staff. Everything during our visit was made with high quality produce and served quickly. We will most certainly be back to try the bendict as well as the extensive wine and cocktail list. Perhaps not at the same time. 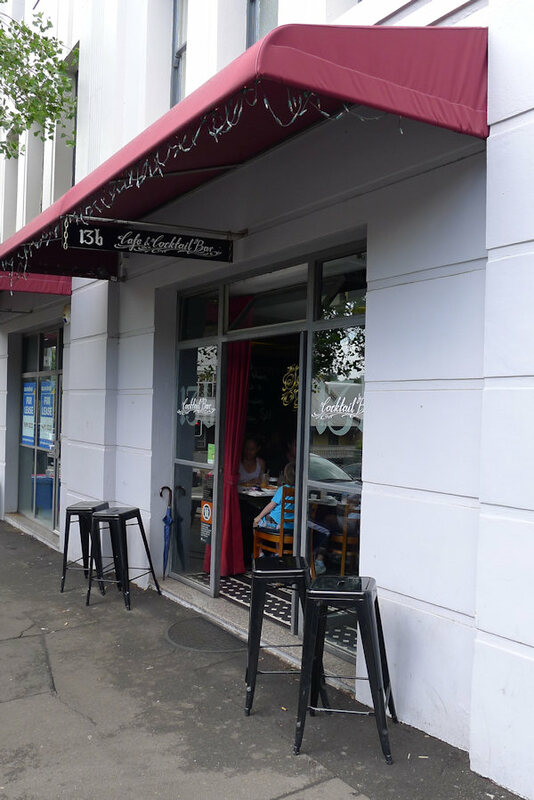 This entry was posted in Sydney - Inner East and tagged Dog friendly, Free range eggs, Outdoor seating. Bookmark the permalink.